Telecommunications innovator Vonex Ltd (ASX:VN8) has entered into a marketing and partnership agreement with CounterPath Corporation (NASDAQ:CPAH |TSX:PATH) to work on new customer growth in Australia. CounterPath is a global provider of award-winning Unified Communications solutions for enterprises and service providers. 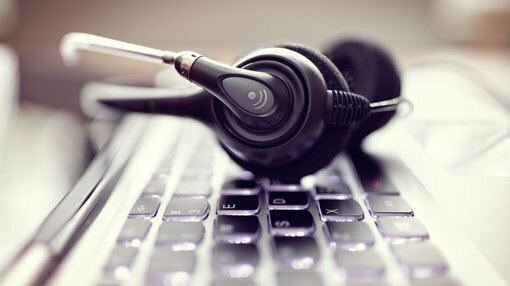 Its product suite includes Bria 5, which has millions of global users and leverages over ten years of softphone experience and replaces the need for a telephone to connect to a VoIP phone service, or hosted PBX extension. Its proprietary Stretto Platform enables the provisioning of desktop and mobile VoIP software. Vonex is a full service, award-winning telecommunications service provider, selling mobile, internet, traditional fixed lines, hosted PBX and VoIP services, predominately to the small to medium enterprise customer under the Vonex brand. The company also provides wholesale customers, such as internet service providers, access to the core Vonex PBX and call termination services at wholesale rates via a white label model. For VN8, this deal could open up much larger opportunities to work with enterprise clients previously not targeted, as well as enabling the company to expand its offering to existing business, enterprise and channel customers. Vonex will also white-label selected CounterPath products and sell under its own brand. To facilitate this, Vonex has made an initial order of 10,000 licenses of the CounterPath Bria softphone client suite and the CounterPath Stretto Platform which it intends to sell to its existing customer base. Under the terms of the non-exclusive agreement, Vonex and CounterPath, who has a base of established customers, will jointly market a combined product offering to existing and potential customers of both companies, initially in the Australian market. Highlighting the game changing nature of this development, Vonex managing director Matt Fahey said, “This agreement is a significant win-win for both parties. Vonex and CounterPath complement each other’s business in so many ways, and through joint marketing to existing and targeted customers. “Existing CounterPath customers, who currently only access software solutions can now be offered connection to the Vonex VoIP solutions, while Vonex customers can now have access to a world class voice, video and messaging software solution. Of course, VN8 remains a speculative stock and investors should seek professional financial advice if considering this stock for their portfolio. As well as achieving sales related cost savings, VN8 will also benefit from improved efficiencies and scalability with regard to joint marketing activities and a collaborative approach to product development and engineering. While these activities will primarily be designed to assist CounterPath with further tailoring its products to the Australian market requirements, Vonex believes its collaboration with the CounterPath engineering division will also assist with fast-tracking the development and enhancement of its own product range, providing it with unique insights into a range of global technology developments. The agreement is for an initial period of one year and is able to be extended by either party to the agreement for successive additional one-year periods. This promising development for the group has resulted in its shares trading as high as 15.5 cents on Thursday morning, up more than 10 per cent on yesterday’s closing price.